A whistleblower who’s accused the Consumer Financial Protection Bureau of systemic discrimination says CFPB Director Richard Cordray told her to “back down” from her accusations. Testifying before the House Financial Services Committee’s Oversight and Investigations subcommittee, CFPB senior enforcement attorney Angela Martin said she filed complaints against the agency for discrimination and retaliation last year after a fellow employee discriminated against her and her supervisor retaliated against her for reporting it. Martin said that after she filed discrimination complaints last year, Cordray called her at home to tell her to back off. “On August 7, Director Cordray called me at night and told me that I have to tell my attorneys to back down,” Martin testified. “I’m sorry, Ms. Martin, you are saying that Director Cordray personally reached out to you and asked or told you to have your attorneys back down?” Financial Services Committee Chairman Jeb Hensarling asked. “Yes, sir,” Martin said. “August 7 at 8:54 in a two minute conversation he told me to tell my attorneys to back down” because Cordray claimed he was trying to secure her a position in another division of the agency. 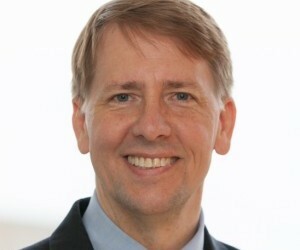 However, Martin said, Cordray ended up giving the position to someone else. The CFPB was invited to send representatives to the hearing, but no one representing the agency attended.